A variety of class packages are offered to suit what’s best for you. Not sure what to choose? Please call and we can discuss your options. The initial consultation is a one on one assessment where your health history and goals are discussed in order to develop the best program possible for you in your ongoing classes. *Initial Consultation fee is waved when you purchase a 5 or 10 class pack at the time of your initial consult. Private classes are one on one consultations utilising all the large and small Pilates equipment, making available the maximum options of Pilates repertoire to address all needs and goals. Semi private programs utilise all the large and small Pilates equipment, making available the maximum options of Pilates repertoire to address all your needs and goals. These programs can be taken in the Equipment 4:1 session times. Direct Debit and Monthly packages are now available. Group Reformer is a 50 minute general class where exercises are performed on the Pilates Reformer. Each participant executes the same exercise in the group format. *Please note; Group format classes may not be appropriate for all and if experiencing pain or injury an Initial Consultation is required before choosing a class that is most supportive. Available for private group and corporate bookings. All sessions are 60 minutes in duration and by appointment only. You must book in for an initial consultation before booking into a semi private or tailored small apparatus class. We have a strict 24 hour cancellation policy, any classes not attended, cancelled or rescheduled with less than 24 hours notice will be charged in full. 10% Discount Seniors, Pensioners and Full time students upon presentation of valid identification. 5 and 10 packs have an expiry of 12 weeks. Initial packs have a shorter expiry, please confirm when purchasing. Expiry dates can be suspended for interstate and overseas travel, hospital stays, and postnatal up to 3 months. 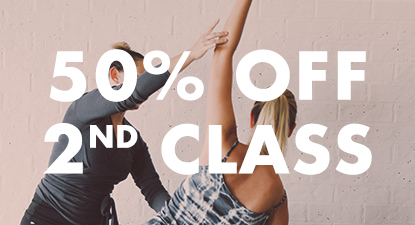 The Pilates Hundred is a member of the Pilates Alliance Australasia and therefore offers health fund receipts for funds that offer rebates for Pilates classes. Please contact your health fund provider to check your cover level.